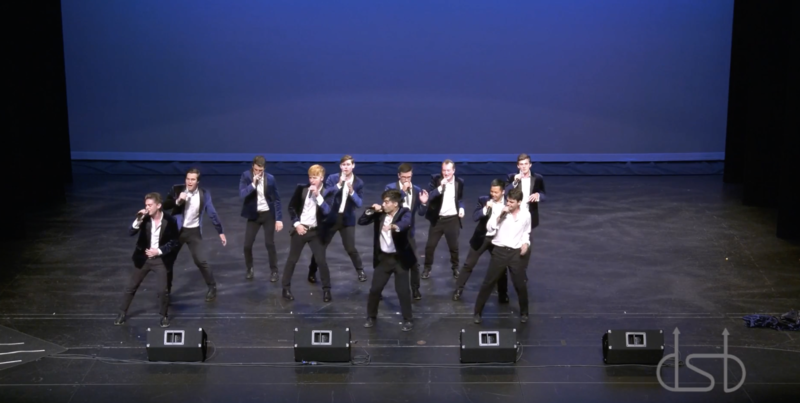 The Duke Pitchforks Turn Up The Heat In This Cover Of "Despacito"
Ladies and gentlemen, we have reggaeton-pop in a cappella! Okay, so maybe this isn't a first in a cappella, but it's a shining example of how a cappella continues to capitalize on current music trends and is willing to take chances. In their latest video release, the Pitchforks of Duke University tackle the massively successful hit that is "Despacito" by Luis Fonsi. The live performance has it all: choreographed dancing, a latin groove and some seriously suggestive lyrics. But what truly separates this performance is that the Pitchforks sing Spanish. And they're quite phenomenal at it. From the rapping to the belting of the chorus, the group goes all in. Many college a cappella groups never venture away from English-styled songs, which is a shame. The Pitchforks, however, embrace it and as a result, end up elevating their performance significantly. See for yourselves in the video below.